Each palette has five really pigmented shades that make pretty highlighters and eyeshadows. These palettes are fairly versatile, as you can sweep across the five shades in the palette and apply to the areas of your face which catch the light naturally; such as the cheekbones and brow to give an illuminated, sun-kissed and natural glow. Or you can use a smaller brush and just use one shade from the palette to make beautiful eyeshadows. This is the most pigmented product, however, you can easily build up the coverage that you want to get more of a highlighting glow. 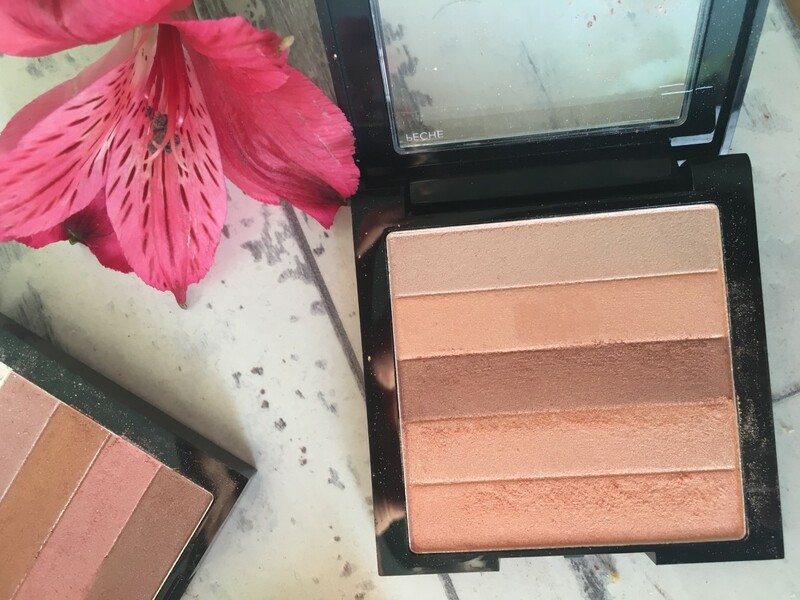 I use the Rose Glow and Peach Glow as more of a highlight, and the Bronze Glow actually works well as a bronzer for me. It just gives me a nice sun-kissed looked, however, I don't use the Bronze Glow as a full on bronzer because there is too much shimmer in it. 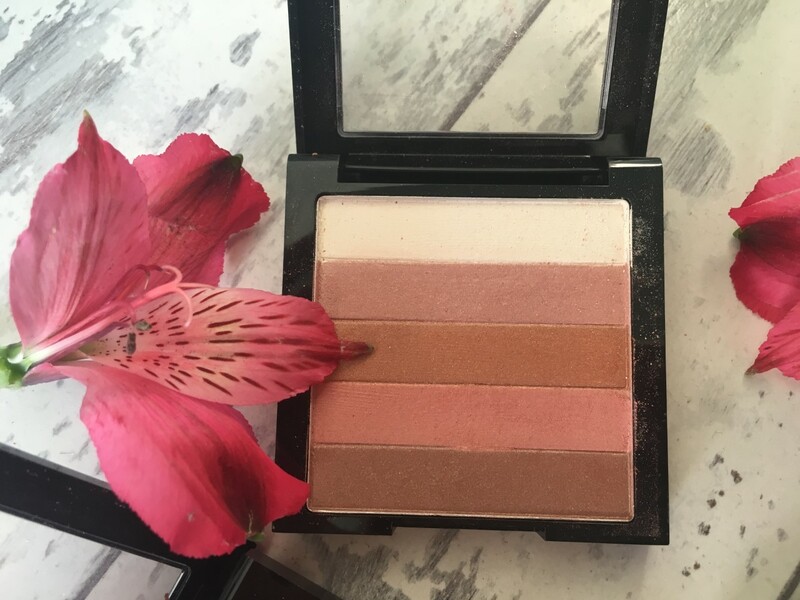 Instead I will apply my normal bronzer and then sweep across the palette and just lightly apply it to certain areas of the face that I want to glow a bit more. I love how the Bronze Glow also has a white shade, which is perfect for a highlight under the brow as it just gives a slight glow. I am actually interested in buying there matte bronze palette that they have also released and seeing whether that could work on my skin tone, as I love the shades in the Bronze Glow palette but they are not appropriate as a bronzer for my whole face because of the shimmer in them. This is not as shimmery as Bobbi Brown's however, there is a slight shimmer to some of the shades to help give a subtle glow to the face. Sometimes, highlighting palettes can have too much shimmer to them, whereas this is the perfect amount of shimmer so it's not too over the top, as I like highlights to look fairly natural. These are also fairly pigmented as eyeshadows and you can really build up the colour. 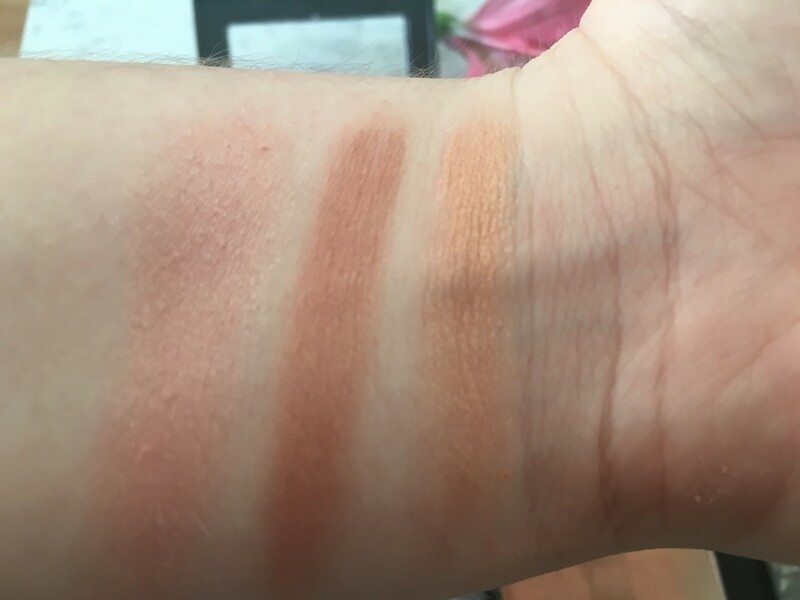 You will have to apply a couple of layers of each shade to build up the shade that you want, as these are not intended to be really pigmented. I use Peach Glow and Bronze Glow as eyeshadows quite a lot and I think they are just really pretty shades. I would definitely suggest using an eye primer if you are to use these palettes as eyeshadows, but they do look really good. Also for £9.99 they are fairly inexpensive and they are really pretty palettes. That would make it less than £2 per shade, which you cannot find often when buying eyeshadow palettes. 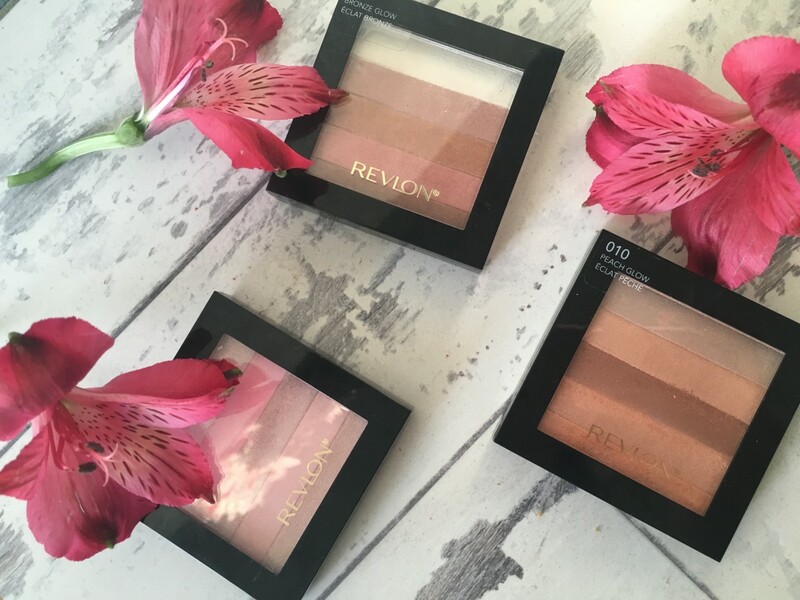 I must admit that the pigmentation in the palette Rose Glow is not as great as the other two and I really have to build up the layers when I use it. However, the other two palettes are pretty pigmented and I don't have to keep reapplying the product. 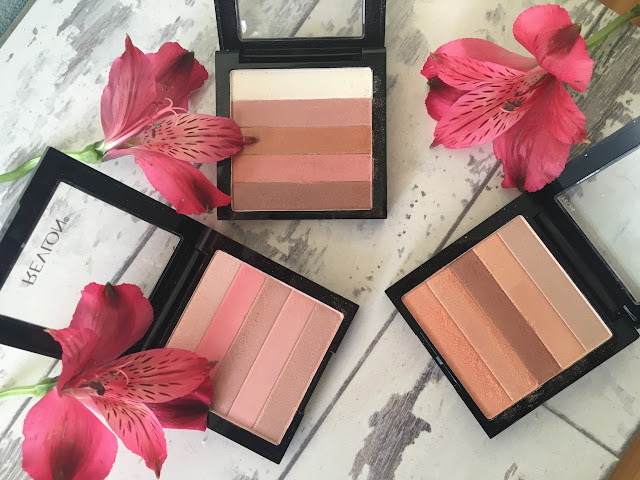 Also, I find that the wear-time on these palettes is not that great and I do have to keep reapplying every few hours, however they are fairly compact and small so are easy to keep in your makeup bag. 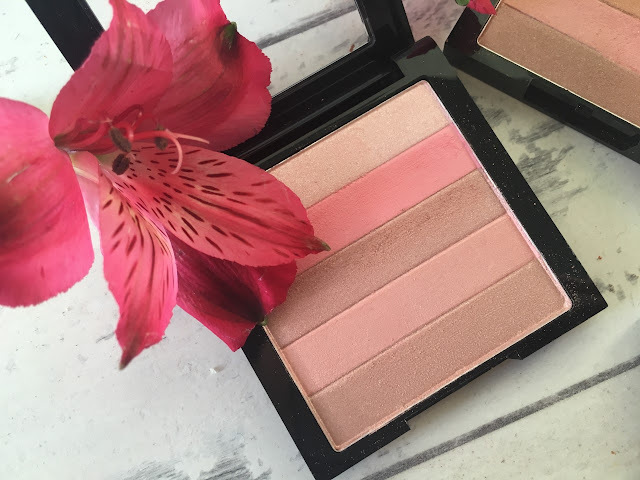 Overall I think these are amazing dupes for the Bobbi Brown Shimmer Bricks and are definitely great if you don't want a highlighter that has loads of shimmer in it, unlike the Bobbi Brown palettes.